Admit it! There is too much content in the world to keep up with it. There are thousands of writers and hundreds of influencers you just don't have enough time to follow. While you are reading this, in just a few seconds, about 500 hours of content were uploaded on YouTube, around 1500 WordPress posts and 3 million Facebook posts. With this soaring growth, getting in touch with individuals or organizations that have a shared interest in what you or your company has to offer seems like an impossible task. There is so much data stored in the world that we may run out of ways to quantify it. In all this sea of content, can you make a difference? Well, we believe you can. Because you don't need access to all the data in the world but you definitely need to have access to the data that interests you more. And the people that interest you the most. That's still a lot to keep up with it. But don't lose faith as we came up with a solution: Smart Brand Monitoring for Smart Outreach Marketing. The following is not an "outreach manual" but a list of steps you can employ to stay ahead of the curve and perform the best outreach you can. All It Takes to Ruin Everything Is to Be a Little Slow, Be a Little Late, Just Once..
How many times did it happen to you to send tons of emails and get no response back? At most, an automatic reply letting you know that the person you want to reach is enjoying holidays somewhere at the beachside while you pull your hair out that your outreach failed. There are many reasons why outreach emails get to be deleted directly without even being read. Yet, the most common reason is the fact that you got the audience wrong. Would you read and reply to a message if there is nothing in for you? Would you reply to an email like the one below, received in a sunny August day out of the blue? And how can you not ignore the emails that advertise you things you're totally unrelated to? Well, here is where online brand monitoring steps it. Don't send out messages in all directions but focus on building a network and convincing people of the value of your product or service. What Does Outreach Marketing Have To Do with Online Monitoring? I know what you're thinking: brand monitoring, I've heard this before. Everybody is talking about it. 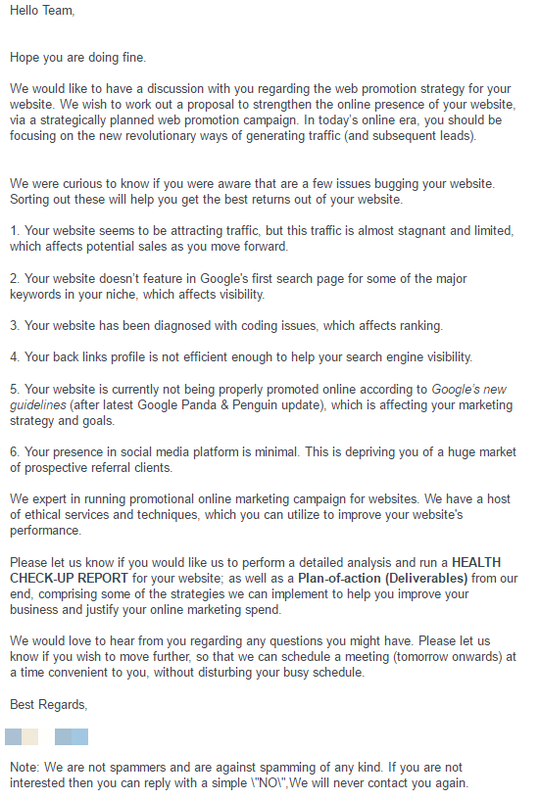 But most likely no one told you what you can use online brand monitoring for outreach marketing. You might have read of how brand monitoring can bring you high-quality links or can help you out with your brand reputation. Yet, let's find out how you can do effective outreach, that kind of outreach that brings you real results, big response rates. And to make sure, everything is loud and clear, let's see what outreach marketing is about. Outreach Marketing is the practice of going in search of people that have a shared interest in what you or what your company has to offer and approach them with the hope of getting something in return (social shares, links, sales, promotion, etc.). If you're thinking that this is the hardest part of all, you're right. But no matter how hard it might seem, keep in mind that hard work pays off...or at least it should. 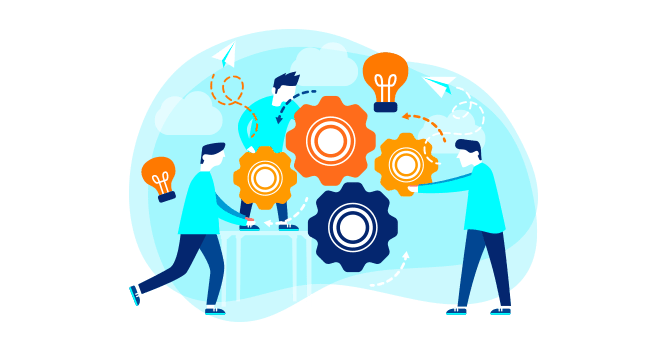 This is the step where you build yourself a list of influencers: blogs and websites which are relevant for your niche and which attract not only a large number of visitors but also a great amount of interaction from those visitors. And how can online monitoring help you out? 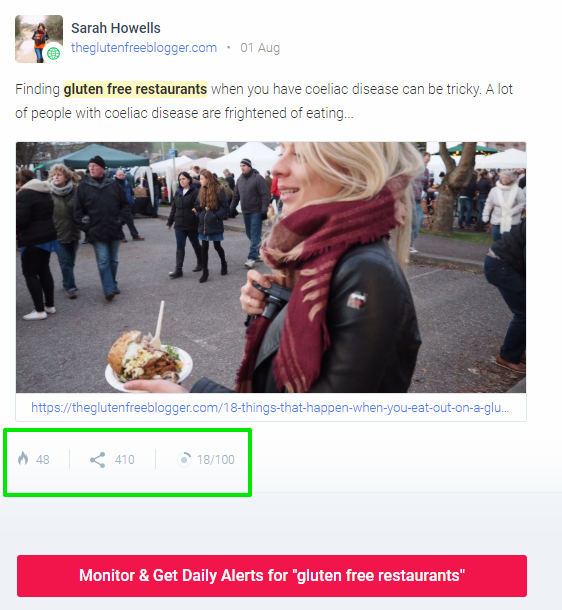 Let's say that you're interested in the free-gluten restaurants niche. A simple search on BrandMentions can do wonders for you. Not only you'll find out a lot about your niche but you'll also get data on the most important blogs and influencers from the market you're interested in. Simply browse through the mentions reported by the tool and start to gather the data you much need. I know, it relies on heavy work but it can be highly productive mostly if you're at the beginning at the road and you want to make yourself known in the industry. Markets evolve and so should your outreach list. Therefore, set yourself an alert on the topic you're interested in so you can be up to date to all the influencers that matter for your business. Don't get discouraged by the possible high number of mentions reported. 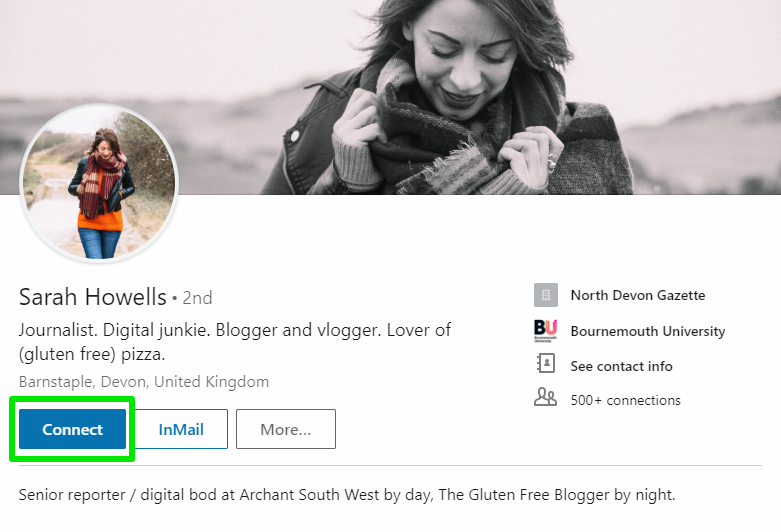 If you're hunting influencers, you can filter your analysis so that you'll get only the list with bloggers that have a high-performance score (high number of shares, high authority, etc.). The greater the effort, the sweeter the reward. It might take you a while to put up a nice list with influencers and people from the industry that matter for you. But think about the response rates you'll have and how much knowledge you'll get from your own niche; you might even get new business ideas and new approaches. Now that you have everything together is time for the big step: the personal interaction. The one thing you need to make sure of is that you make communication personal and don’t just settle for an automated mail listing. 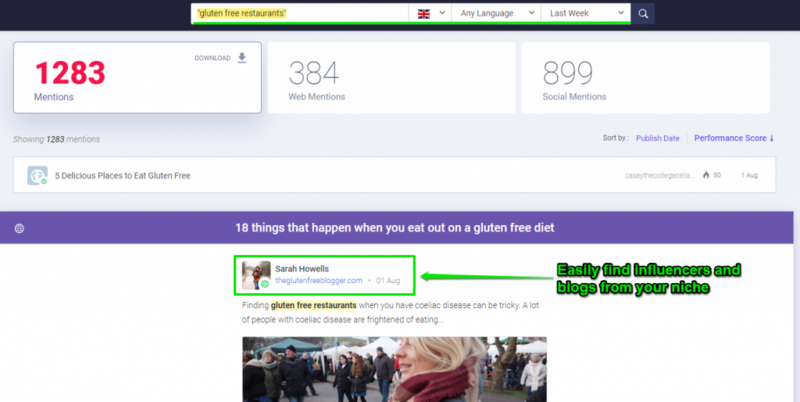 Let's work on the same example as above, where we identified Sarah Howells and her site (theglutenfreeblogger.com) as being of high interest for us. 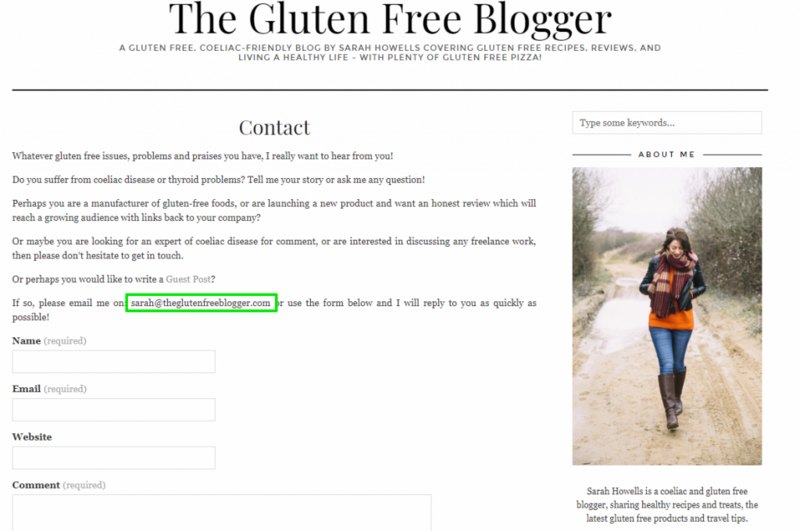 If you've created the outreach list we've talked about above, you probably already have Sarah's contact data and a bit of info about her and what types of posts get shared by her. By now, you might be thinking why not sending the email already? Well, it's always important to know a bit more about the person you are outreaching to. And it's also a sign of professionalism. By getting to know more about the influencer you're trying to outreach to, you can figure out even more ways of collaborating with that person; or, the contrary, you can find out that you have totally different visions and there is no point in setting a contact. You wouldn’t go to a job interview not knowing a thing about the company you are interested in. The same thing applies when it comes to outreaching. The outreach process can sometimes be seen like a pitching one; this is why, knowing as much info as possible about the other person’s field of interest, recent events attendances and so on might be highly important for you. Now, here comes the interesting part: writing the message. Of course, it all depends on what you are contacting the influencer for: You want that person to share your post? you want her/him to accept a guest post from you? you want a business collaboration. Always have in mind the reason you are writing that mail and the expected outcome. If you're trying to propose them a guest post, try to figure out the characteristics of a content piece that they might be interested in. Write down specific examples. And make sure to keep the emails as short as possible and give the influencer a good reason to share or accept your post. Stress On the Added Value of Your Proposal! Fix the Broken English – Sloppy Content Is Not an Option! With online monitoring, you can cover social media as well as regular websites and blog posts. It can, thus, tell you, with a bit of research, who might be the best people to contact in terms of attracting attention and visitors. Remember the first step? Well, some hard work might be implied here as well. But the BrandMentions app comes to rescue again and does most of the job for you. Look for the influencers in your niche; see what they're talking about, when, where and why? Try to connect with them and find out as much possible about them. This is a move that works best when you already have some social capital and want to stand out from the crowd. But in order to do that, you need to be in the crowd to begin with. It might be tempting to think that all you need to succeed today is a strong social media presence and fan base. However, that would be a huge mistake on your part, strategically. Indeed, social media might be a good place to promote a product or service, but most of the time, there isn’t really any return on investment on that promotion. A study shows that only 1% of Facebook 'fans' engage with brands. And when it comes to outreach, what you really need is an interactive environment where users actually participate in an exchange with your content, much more likely to result in action on their part. In your outreach endeavor you need to remember that there no such thing as a “success recipe” . The important thing is to see what works best for you and how you can use all the resources you have in the most efficient way. Cornelia Cozmiuc Cornelia is a proud Digital Marketer @ BrandMentions. When she is not documenting for the next amazing case study, she is probably somewhere trying out a new extreme sport such as Hang Gliding. Also, she's an avid traveler, extreme sports enthusiast, and aspiring drum singer.